Launching a new business isn’t easy. There’s a lot of uncertainty involved as you invest countless hours and money developing your innovative idea. It’s exhausting. Another great strategy? Watch movies, documentaries and TV shows that are geared toward entrepreneurs and startups. With this approach, you’re technically off the clock. However, you can still glean a lot of useful insights to help make your business journey easier and more successful. That’s why we published a great list of inspiring “business” movies several months back. Those titles are still relevant today, but it’s not always possible to get your hands on these selections — especially on short notice. It has a huge catalog of on-demand TV shows and documentaries that is seemingly tailor-made for new businesses. Below are some of our top picks in no particular order. If you haven’t already seen this award-winning TV show, you’re definitely missing out. “Breaking Bad” chronicles the meteoric rise (and fall) of Walter White — a chemistry teacher turned drug dealer. While we do NOT condone his business or the illegal activity, if you look deeper into the message, the main takeaway for entrepreneurs is that success can come at you fast — especially if you dedicate yourself to quality. On the surface, this is good — but if you sacrifice integrity along the way, bad things are bound to happen to you. Walter White discovered this the hard way — so that you don’t have to. Walter White didn’t cut corners, but the key players in this 2005 documentary certainly did. They fudged numbers, doctored reports, and lied to investors and regulators. The charade worked for a while — until everything came crashing down in spectacular fashion. This cautionary tale further drives home the importance of honesty and integrity. Every business has bad days — sometimes even bad years. Yet, remaining open and transparent increases the chances of coming out of the fire unscathed. Not all of Netflix’s titles are cautionary tales — 2015’s “Capital C” is an inspiring documentary about how entrepreneurs are increasingly decoupling themselves from traditional sources of financing. Banks and angel investors are no longer the sole gatekeepers, thanks to emerging alternatives like crowdfunding. The secret to raising large sums of capital lies in creating a message that resonates with others. If you do this, people will naturally want to help and support your growth. Released in 2016, “Minimalism” is mostly geared toward consumers. The whole point of the film is that you can live a happy and fulfilling life with very few material items. This same lesson applies to the business world as well. Remember that profit isn’t simply about increasing sales — it’s also about reducing expenses. As an entrepreneur, resist the temptation to buy glossy business cards or spacious offices. This 2012 documentary follows the approaching retirement of famed sushi chef, Jiro Ono, as he prepares his son to take over the business. There is a lot to unpack in this film, but one key takeaway is that charging higher prices doesn’t necessarily require adding more bells and whistles. Ono’s strategy involves an unwavering commitment to quality and perfection. This approach is much harder to scale. Yet, when you’re charging $300 a plate, you can afford to maintain a relatively small operation — and still be a huge success. Although this show is only available on HBO, we decided to include it in the list anyway. Get ready for a hysterical foray into the incestuous world of IT and venture capitalism. “Silicon Valley” follows a group of young programmers who develop a novel compression technology. In layman’s terms, they’ve struck gold. Nonetheless, as the show clearly illustrates, success doesn’t happen automatically — even when you have the best product in the world. If you’re looking for a fun, lighthearted distraction, “Silicon Valley” certainly doesn’t disappoint. What Netflix Shows and Documentaries Will You Watch First? The above titles are merely scratching the surface. 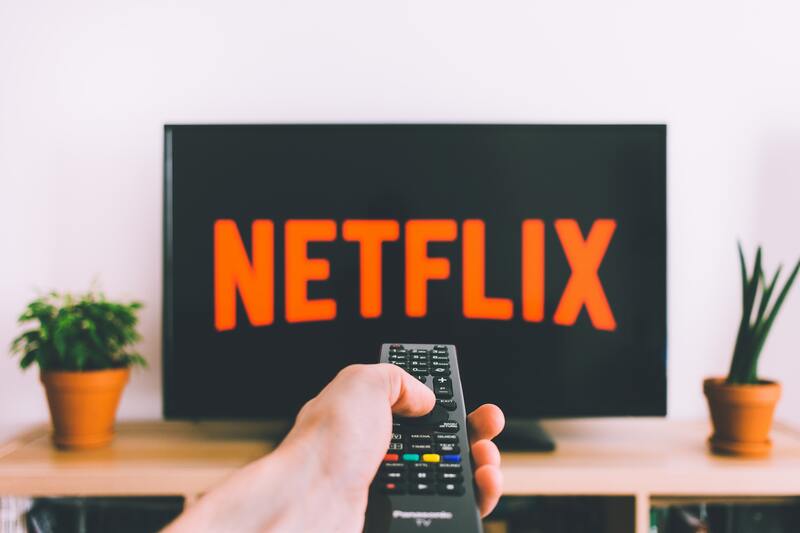 You could spend hours (literally) watching tons of fantastic entrepreneurial programming on Netflix and other on-demand services. Just remember that Netflix continuously updates its catalog of TV shows, documentaries and movies. So be sure to check out the above titles before they disappear. Also, don’t forget to talk to your tax adviser about reporting your monthly Netflix subscription as a “business” expense. It never hurts to ask.